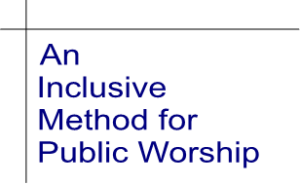 In reality, public worship is led by everyone in leadership. Each leader is either helping or hurting the public service. There is no middle ground. There are no forces held in reserve. 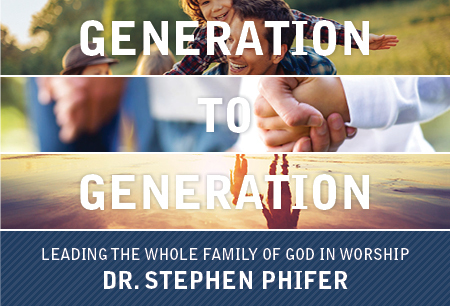 No worker who has the health of the church in mind would willingly serve as an escape route for congregants who would rather not enter into worship. My work as a student of worship is to ask questions of the Bible and report on what I feel the Bible says on a given subject. For this reason, I have called these articles discussions. My desire is for you to join in the conversation. If these articles prompt questions in your mind, please email them to me so the conversation can continue. 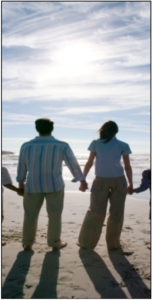 My gratitude is extended to the online and print magazines who first published these articles: ILevite.com, Creator, Communicator, Enrichment and TheWorshipRenewalCenter.com. 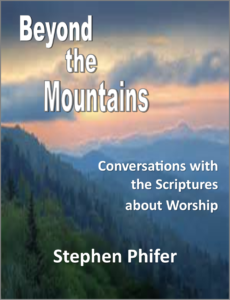 May these conversations contribute to the atmosphere of worship renewal in the Church today. 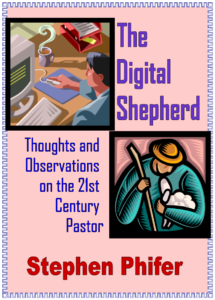 The Digital Shepherd is a collection of articles written since the turn of the century, that is, the turn of the 20th century into the 21st century. These pieces have been written from a set of three biases: (1) I love the Word of God. (2) I love the local church. (3) I love the office of the senior pastor of the local church.